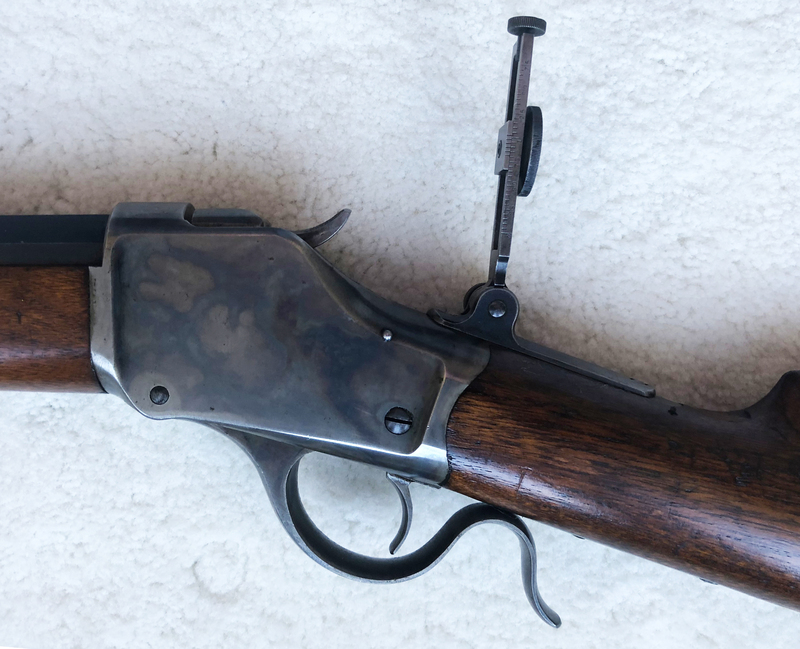 Winchester Model 1885 High Wall single shot rifle s/n 69065 manufactured circa1893 in 38/56 WCF calibre. 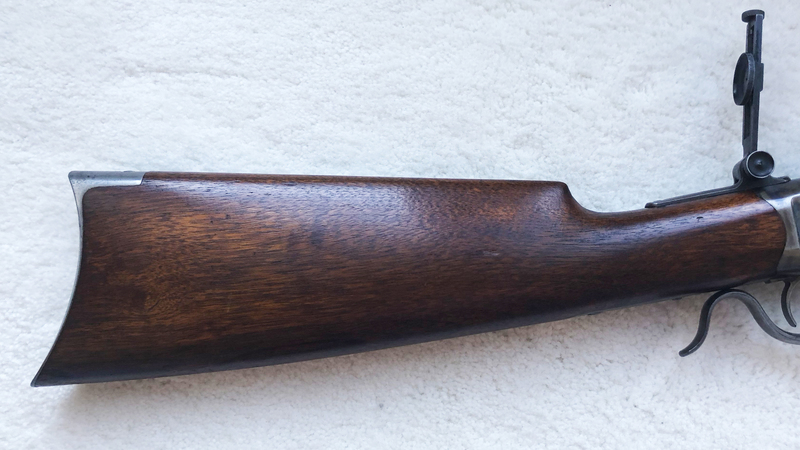 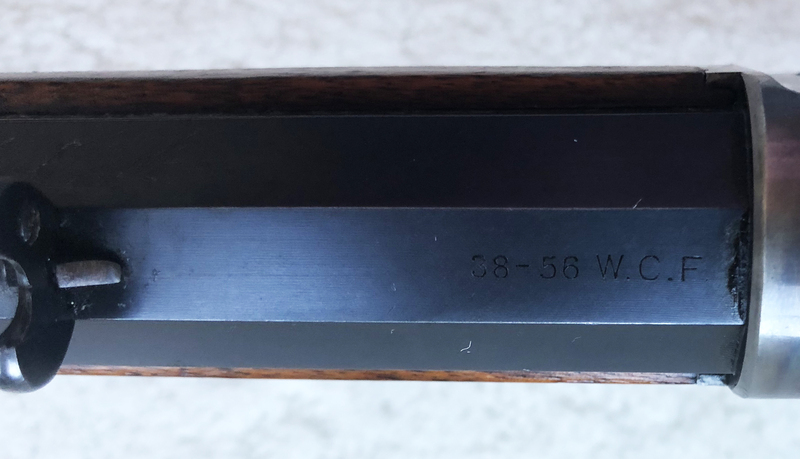 This rifle is in fine to excellent condition, with 30 inch octagonal barrel, case coloured frame, walnut forend and stock, with crescent buttplate. 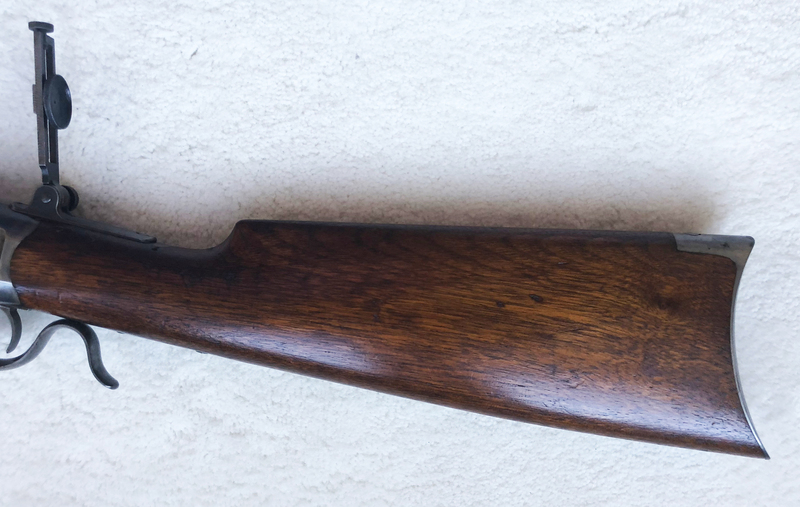 Rear graduated peep-sight, buck-horn type rear sight with elevator and adjustable windage front sight.